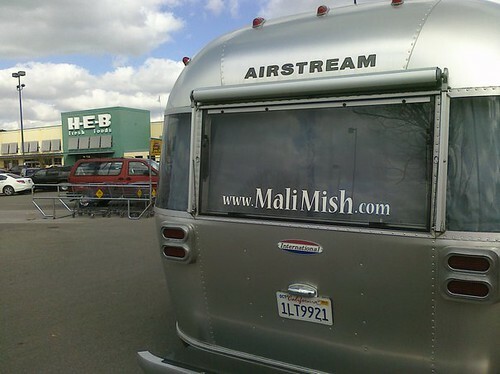 Mali Mish – Day 25: En route to Galveston, Texas. We left Pioneer RV Resort this morning in record time knowing we had a long drive ahead of us. Before you think we are some kind of early birds, let me tell you that the record time was a sharp 10:15AM. That is good for us. 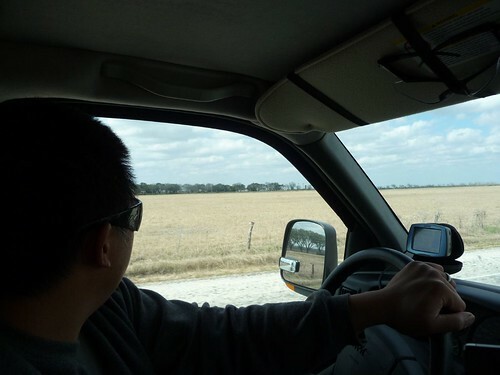 Instead of taking the nearby free ferry at Port Aransas, we decided to drive the long way around since taking the Airstreams on an unknown ferry boat was kind of a risky proposition. That means we got to drive through Corpus Christi one more time. 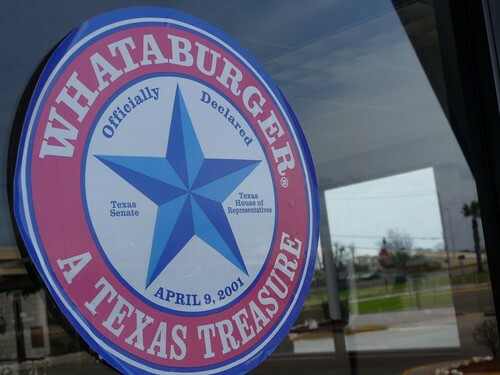 The birth place of a Texas Treasure. Whataburger. 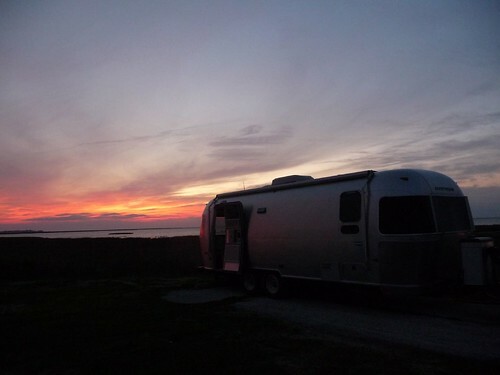 Claire and Daniel are looking at the end of their life-changing American road trip with the final night in their Caravel being tonight in Galveston, Texas. 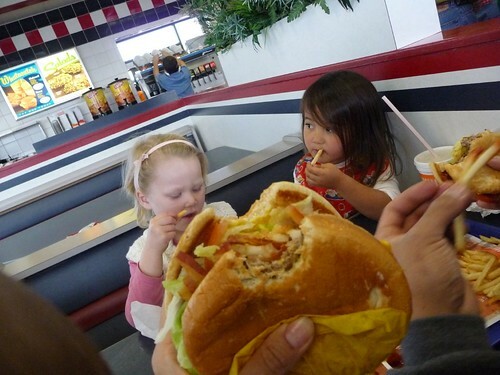 I was surprised to hear that in all the time they spent in California and Arizona, they never once got to go to In-N-Out Burger. So when we had a chance to eat at the birthplace of a locally beloved burger chain, we were happy to oblige. Unfortunately, as much as they make a decent burger, it does not hold a candle to the venerable In-N-Out. I told Claire and Daniel that we would have to somehow overnight a double double animal style and a grill cheese over to them while they are still in New York. 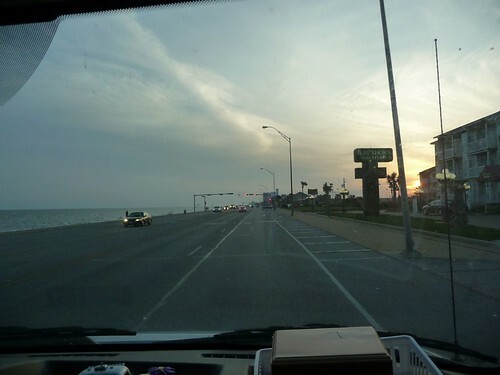 The drive to Galveston from Corpus Christi is a very scenic one. The best way to do this trip is to not take the Interstate. I don’t remember how we used to road trip without the use of Internet and GPS. We must’ve been lost all the time. We crossed countless bridges over countless bayous in the Texas wetlands and marshes of the gulf coast. At times, we felt like we had left Texas and were already in the bayous of Louisiana. We saw plenty of cattle along the way at all the farms and ranches on these country roads while Mila was sound asleep in her car seat. We have about a 90-minute window to get as many miles as we can squeeze in during her nap when we drive in the day time. Once she wakes up, she will usually starting wailing away in her seat until we find a place to take a travel break. That means all those ice teas we drank at Whataburger will just have to wait so we don’t wake her up with an early pit stop. On this leg of our trip, Mila, to our surprise, did really well as she awoke near the end of our usual 100 mile mark. 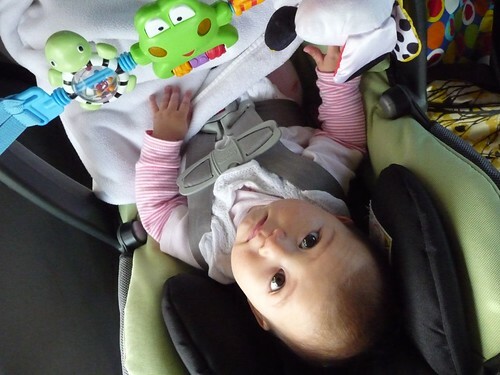 The little frog and turtle car seat rattlers we bought her at Walmart is probably to credit for the welcome change of attitude. That gave us the opportunity to make it an extra 50 miles to the nearest town. We ended up stopping for a break at Bay City, Texas. 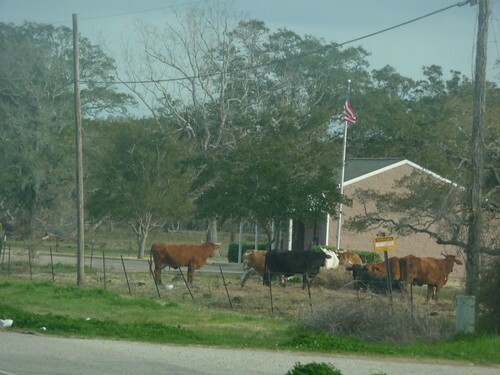 It’s a little town about an 80 miles to the west of Galveston. We stopped and got some groceries and a little ice cream for a well deserved break in the longest day-time drives we’ve done so far. Galveston is a city that has gone through many devastating hurricanes in its history. 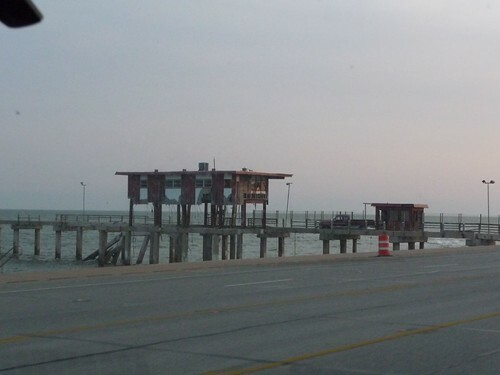 Most recently, a lot of it was badly damaged by Hurricane Ike in 2008. You can still see a lot of the devastation today as you drive along the seawall at Galveston Island. In 1900, the deadliest of all stateside hurricanes killed over 6,000 people in this city. Even as compared to Katrina, it was far more deadly. At that time, Galveston was one of the richest cities in the union. That hurricane single-handedly wiped out much of that wealth in just a matter of a few days. Being on the beautiful gulf coast, it understandably reemerged as a tourist destination as it remains so today. We can definitely understand why that is the case. This is Galveston Island State Park. The campground is on acres of beautiful coastline. Where we docked our ship is the bay-facing portion of the park that has amazing panoramic scenery perfect for our wraparound windows. This park too was badly damaged during the 2008 disaster but has since been rebuilt and opened for business. That means we have practically brand new infrastructure at the campsite which is always a good thing. Claire, Daniel and their girls arrived about an hour before us and picked out a couple of amazing spots for the night. 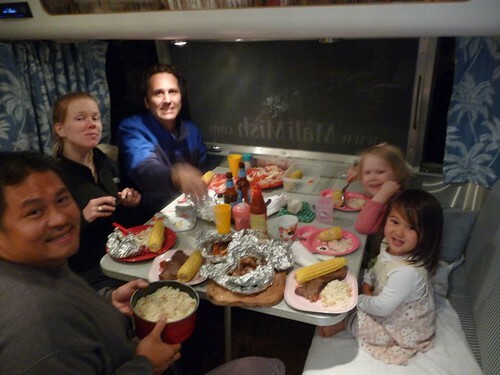 They were well underway in preparing a feast for their last night in the Airstream. We had a great meal but knew in our minds that this time together was nearing an end. Tomorrow, they drop off the Caravel with the shipping company and will be heading back to New York before the flight home to London. We have been traveling with them since Valentine’s day and could not believe from here on out, we are going to be on our own. It definitely has been a great start to our trip and in retrospect, could not imagine doing it any other way. As sad as it was to finally having to venture out on our own, we are looking forward to starting a new chapter in our trip as they move on to a new phase in their lives. Until tomorrow, we are savoring the moment while it lasts.